Nau mai haere mai ki te Matariki! The stars have always been a large part of Māori life. Planting, hunting, harvesting, gathering and navigation were all guided by the stars. Over the past twenty years there has been a rejuvenation in these practices. Māori have turned back to traditional practices guided by the stars. The first sighting of Puaka (Kāi Tahu dialect for Puanga) on Te Pātaka a Rakaihautū was an indication of what the coming year would bring. Kāti Irakehu tipuna told of when Puaka rose from the ocean, he gave off unmistakable flashes. If the flashes are to the north and the star was low down and dim then the coming year would be a year of plenty. If the flashes were to the south and the star was bright and twinkling then it would be a bad year for crops. Matariki usually rises within three days of Puanga and its appearance confirms the tohu that Puanga showed. Both rise on the horizon on the same spot as the rising sun approximately an hour before the sun breaks the horizon. The ceremony to welcome Matariki usually took place on a high vantage point. After arriving the whānau would prepare a small hāngī while they waited for Matariki to rise. The first sighting of Matariki was greeted with karakia and then the Tohunga Kōkōrangi would read the tohu. A fire would then be lit and those that had passed the previous year appropriately acknowledged. of the hāngī, allowing the steam to rise up and give sustenance to those who had become stars. 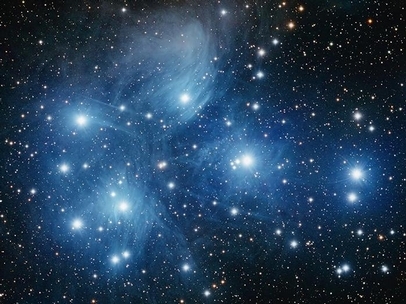 Click here to find out what is happening for Matariki in Wellington. There will be a fire ceremony, like the one explained above, at Te Papa Tongarewa from 7.30-8.30pm. He kaupapa Matariki – The focus this year is on Maramataka. Te Papa are developing a resource, that will be in te reo, to support the entire month, from the 24th June, to coincide with Matariki and the beginning of the lunar moon phase. If any kaiako are interested let Lou know and she will forward the links to resources as soon as they are up and running. The resources will include a cartoon cut out flip book so that tamariki can see the phases of the moon, activities and links bringing connections from old to new regarding the maramataka activities. Plus there is a lot of online resources on the Te Papa website here. Te Papa are working on a big project with the Ministry and here is a blog of a kura who came to Te Papa to utilise digital technology infused with kaupapa Māori. If you are interested in finding out more please email Pania Smith at pania.smith@tepapa.govt.nz. Te Papa want to engage with Kura Kaupapa / akomanga Māori.